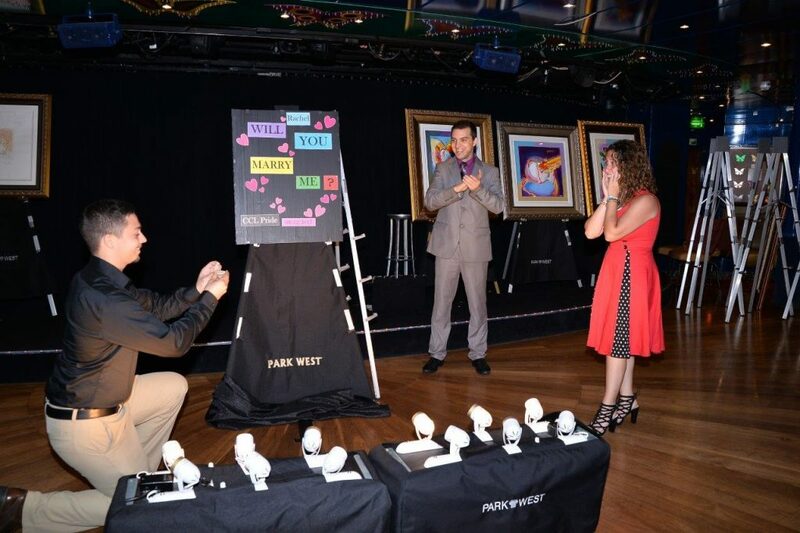 Park West Gallery collector Robert proposes to his girlfriend, Rachel, during an art auction at sea. 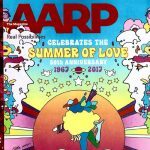 Park West Gallery’s mission is to provide fun and exciting memories that last forever. 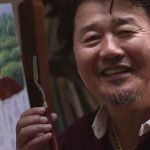 For one art-collecting couple, a Park West auction was the perfect place to create a memory of their engagement. Art Auctioneer Jessica van Rooyen shares the story. 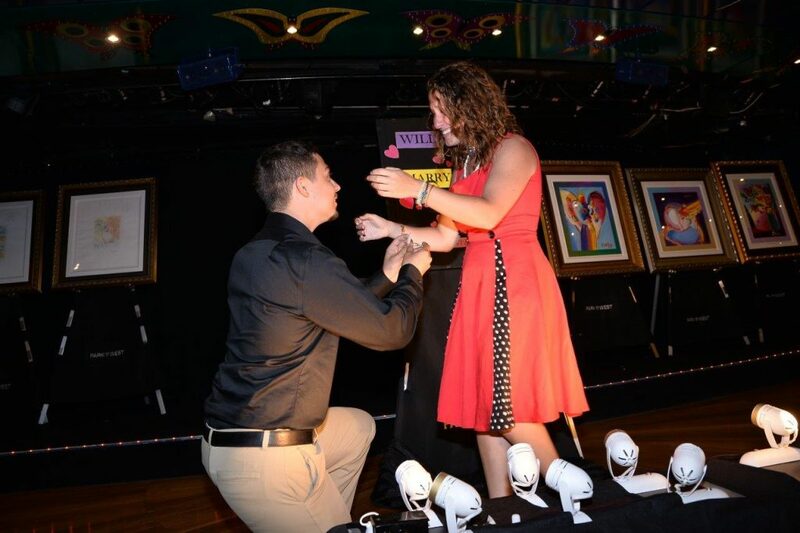 Park West collector Robert approached her while sailing aboard the Carnival Pride with the idea of proposing to his girlfriend, Rachel. As art collectors with Park West, the Grand Finale auction was the perfect fit. Van Rooyen, a self-professed “hopeless romantic,” loved the idea and hatched a plan with Robert. Before the final auction on August 12, van Rooyen made a sign that read “Rachel will you marry me?” On the day of the proposal, van Rooyen placed the sign among the easels of artwork up for bid during a mystery auction. With the sign covered in a veil, the auction began. Robert placed a $3,500 bid to win, causing Rachel to become upset for bidding above their agreed price range. Robert and Rachel were invited on stage so the art team could unveil the $3,500 painting they purchased. When the art associates revealed the sign, Robert dropped to one knee and popped the question. “The entire crowd just went crazy,” van Rooyen says. Robert and Rachel celebrate with a kiss. 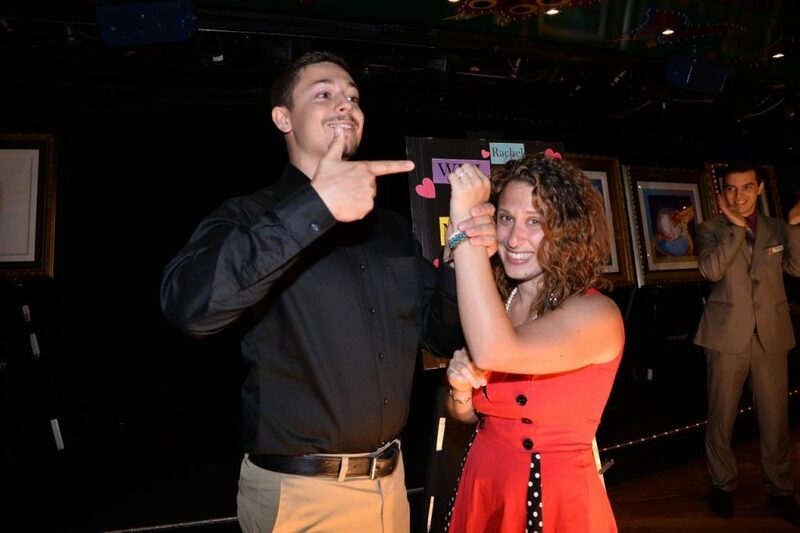 Rachel said yes to Robert, and both were happy to incorporate their love of art and Park West into their engagement. 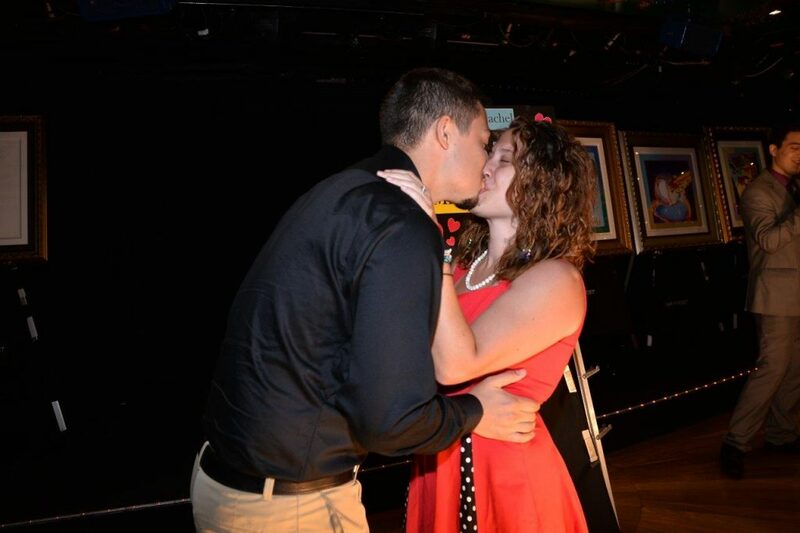 The newly-engaged couple was treated to a bottle of red wine to enjoy during the rest of the auction. Guest Services provided a bottle of Champagne as well as presenting the couple with photographs taken during the auction. “Getting some of the other departments involved as well did help to top it all off and helped to create a priceless memory,” van Rooyen says. Do you have any special memories with Park West? Feel free to share them on our Facebook, Twitter, Instagram, and Pinterest pages or in the comments below.